There’s no good news about male contraceptives yet, but there is much progress in the field of family planning for women. This column will touch on some of the high points. Perhaps the best news is that, globally, more women who want to avoid pregnancy are using an effective contraceptive method. The number who weren’t using modern contraception was estimated to be 225 millionin 2014but is 214 million now. The decrease is partly due to huge efforts from Family Planning 2020 to make better family planning available in developing countries. With local support as well as funding from rich countries and foundations, FP2020 has provided over 30million women with effective contraception. The goal of FP2020 is to reach 120 million previously unserved women with effective family planning by the year 2020. In many places couples only had access to one or two methods, such as condoms or tubal ligation. FP2020’s strategy includes avoiding coercion and offering a choice of several methods. Please remember that it is not just developing countries that wrestle with unintended fertility. In 2008 in the USA 51% of pregnancies were unintended. There is good news here, too; it is now just 45%. This decrease, and the significant decrease in abortions, is thought to be due to Long Acting Reversible Contraception—LARCs. These methods include IUDs, implants and the 3-month shot. One in 7 women in the USA is now using these most reliable types of birth control. LARCs have two shortcomings, however. In general they are expensive—but remember that dollar-for-dollar, contraception saves more than any other health intervention! The other problem with LARCs is convenience, since most require a health care professional. An exception is the 3-month shot, “Depo” or DMPA. This has been in use for birth control for almost 50 years, but requires a clinic visit 4 times a year. Sayana Press® is an innovative solution that is accepted very well. It is a small plastic bubble filled with the medication and a short attached needle. The woman just punctures her skin, squeezes the bulb and she is protected against pregnancy for 90 days. Malawi, a small East African country with large families, compared women who went to the clinic to get their shots with women who injected the medicine themselves. They found that women who were given the first shot at the clinic then took home 3 Sayana Presses® were much more likely to use the medication for a full year. Birth control pills are available without prescription in many countries, and the USA will be following suit if Daniel Grossman has any say. Grossman and I may be distantly related, and we are very close in our belief that “the pill” is amazingly safe and there should be minimal barriers to its access. Grossman has started the “Free the Pill” campaign. This would follow the way Emergency Contraceptive (EC) pills have gone over the counter; Amazon.com now sells EC pills! Another physician named Grossman—Jessica—heads up Medicines 360. This organization has as its mission “…to expand access to medicines for women regardless of their socioeconomic status, insurance coverage, or geographic location.” Their first product is a big success! Liletta® is an IUD that releases a hormone over 4 years, is safe and very effective, and decreases menstrual bleeding and cramping. It is primarily sold to clinics and is significantly less expensive than similar IUDs.Recently there is good news about all IUDs; they reduce the risk of a woman getting cervical cancer. Most couples in the USA use contraception at some time in their lives, even if their religion opposes birth control. In much of the global south, however, this is not the case. There the Roman Catholic hierarchy turns most women away from birth control. This might change, however. The Pontifical Gregorian University in Rome will be holding a series of talks on the 50th anniversary of Humanae Vitae, according to the National Catholic Register. 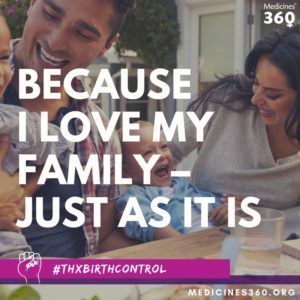 Despite political forces in this country that are trying to erect barriers around access to family planning, there is a lot of good news about contraception for women. You are currently browsing the archives for the Family Planning category.